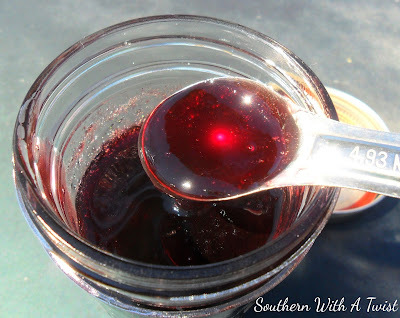 I am participating in a year long Food In Jars Mastery Challenge hosted by Marisa from Food in Jars, and the March challenge was Jellies and Shrubs! Since my family and I really aren't into the Shrubs, vinegary concentrated drinks, I decided to stick with jelly, but I used my cherries from last years crop to make jelly. I've never made Cherry Jelly before. It is sweet, tart and delicious! My cherries were frozen. I rinsed them off and set the colander on the base after they drained well. I let them thaw. I removed the pits over the colander, yielding about 4 - 4 1/2 cups of cherries. The base caught 3/4 cup of cherry juice! I cooked the cherries after adding Sure-Jell (I didn't need to add water since the base of my colander caught the juice. I boiled them and then added the sugar. I boiled them for a few minutes to yield the most juice. 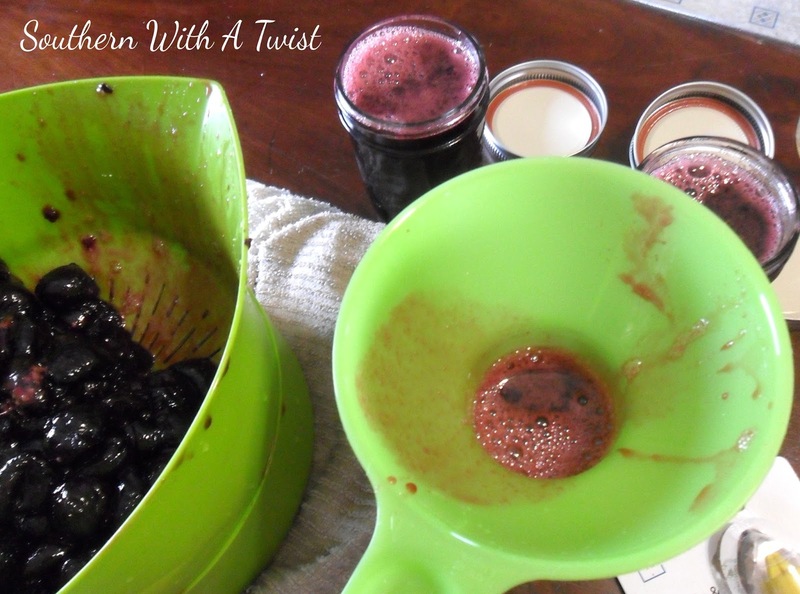 I used the colander and base again to separate the cherries from the jelly juice. I filled the jelly jars and processed them. I reserved the cherries for chutney. Stem and pit the cherries. Place cherries water and sure-jell into a large stock pot. Stir until the sure-jell is dissolved and cook over medium to medium high heat. Bring to a boil. Add all the sugar at once and return to a boil. I let mine cook down for about 10 minutes. 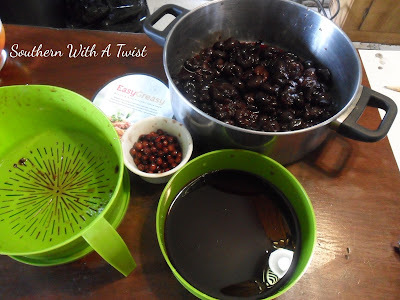 Remove from heat and carefully strain the cherries and reserve them for some chutney or jam. Spoon the juice or pour into jars. I yielded 3 half pints and a 4 ounce jar from this batch. 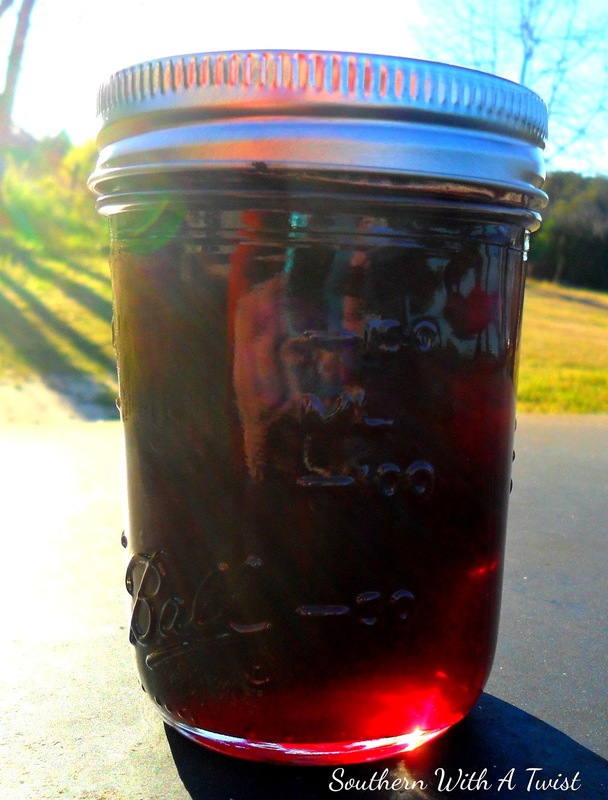 You can either process the jars of preserves in a water bath for 10 minutes, or store in the refrigerator. 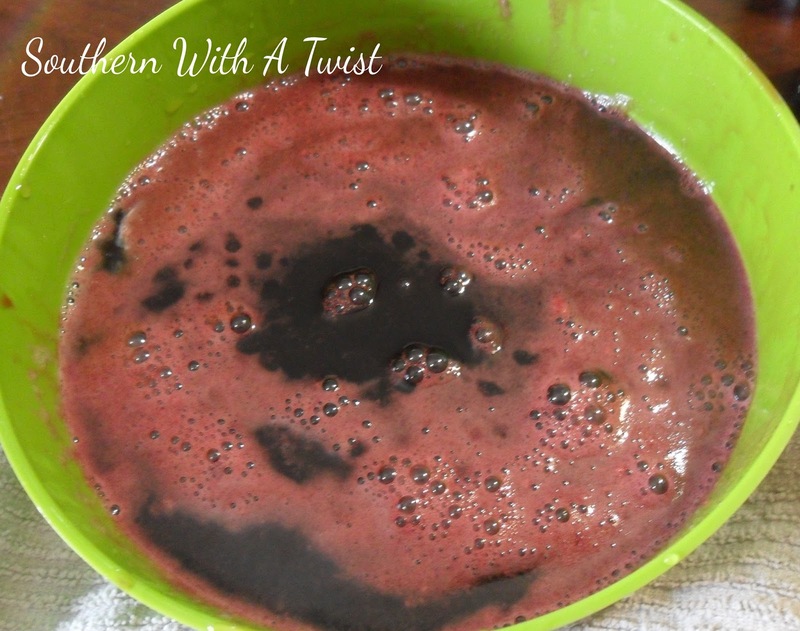 * I used frozen cherries from last year's batch, so I didn't need to add water. If you use fresh cherries, add a little water to dissolve the sure-jell and start the process of breaking down the cherries. ** Depending on how ripe the cherries are, you may use more or less sugar. These cherries are a little tart, so I used about 4 1/2 cups. Taste and adjust the sugar.